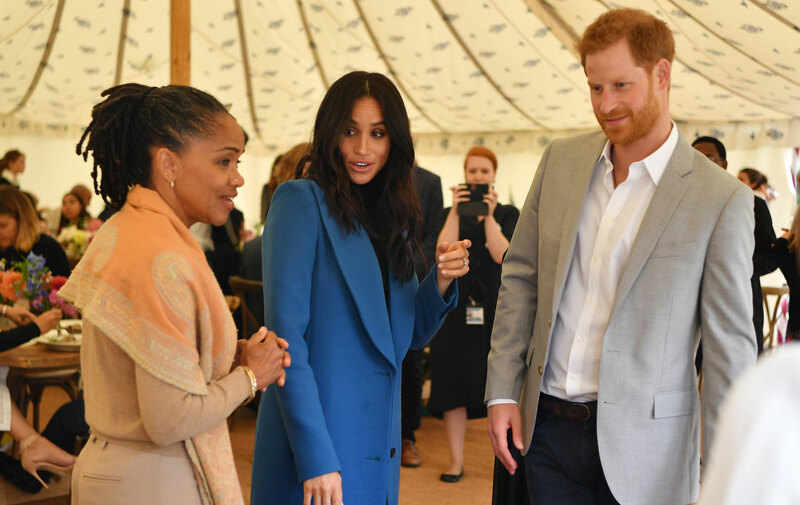 Pregnant Meghan Markle and her mum Doria Ragland will be weighed before and after their Christmas dinner thanks to a bizarre royal tradition. Meghan Markle is embarking on her first Christmas with Prince Harry as a married couple and it will be the last for them as a pair as their baby is due to be born in spring. It’s been reported that the Queen, Prince Harry’s grandmother, has invited Doria, Meghan’s mum, to join the royals on Christmas day to celebrate with them. Unlike Kate, Meghan has a very small network of family and very few close acquaintances in the UK so this is a very kind gesture from the Queen. Although Meghan had her first peek at what a royal Christmas entails, this will be her first year as a fully-fledged member and she’ll need to show her mum the ropes. This will include some classic traditions like the opening of gifts on Christmas Eve and a morning church visit on the 25th. However, according to a royal expert Meghan and Doria will need to embrace some of the royal family’s quirkier traditions too. One of these includes being weighed before and after the main Christmas dinner to see who has had their fill of the feast! Royal expert and editor of Majesty magazine Ingrid Seward explained to Grazia magazine that this bizarre tradition is in place to ensure guests have a good time and leave well fed. It’s thought that the royals use an antique set of scales as the tradition dates back to King Edward VII’s reign in the early twentieth century.